I got interested in the VW & Porsche brand of automobiles at a young age of twelve. 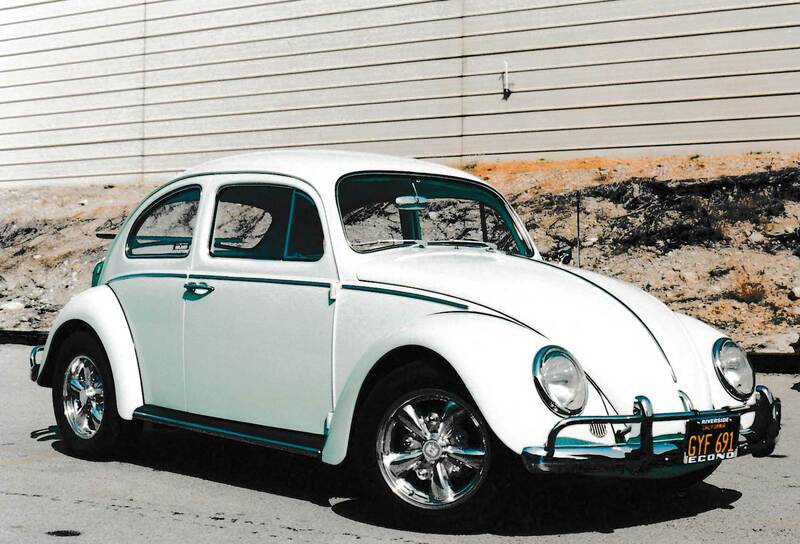 My mother had bought a 1966 VW Bug in 1968 that was a dealer demonstrator car at Woolverton Volkswagen in Ontario, California. 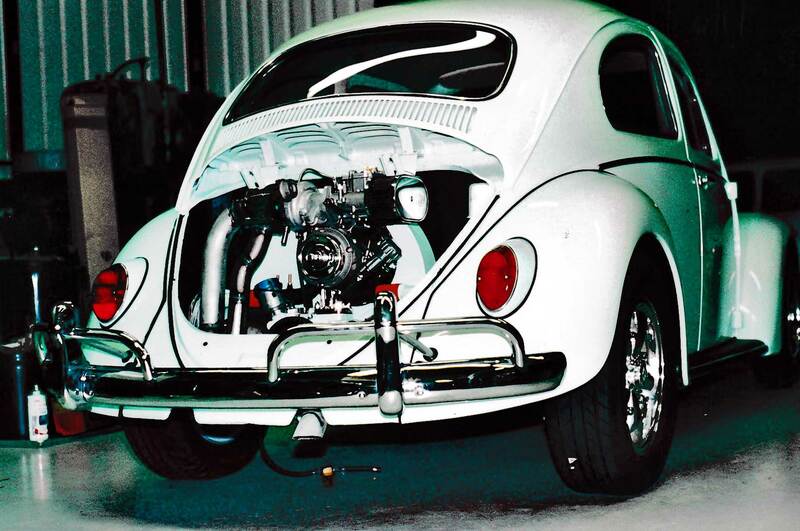 With that bug I began developing many relationships that led to invaluable knowledge and mentorships through the course of tuning it up, looking for parts, etc. I ended up hiring on at Moore Racing Team in San Bernardino that evolved into several different positions and eventually ended up moving to the shop in Redlands as an Off-Road race-car fabricator. This experience, the relationships and the knowledge I gained through those positions led me to the decision to open my own shop at home in my garage. That led to me supplying rebuilt engines for the store I had worked at (I supplied 56 engines to them in one year). I later started to work on Porsches and some Mercedes-Benz models as well. That little shop at home provided a fantastic arena for learning and gaining experience, and it allowed me to hone skills learned long ago, and acquire some new ones as well. I got interested in the VW & Porsche brand of automobiles at a young age of 12. 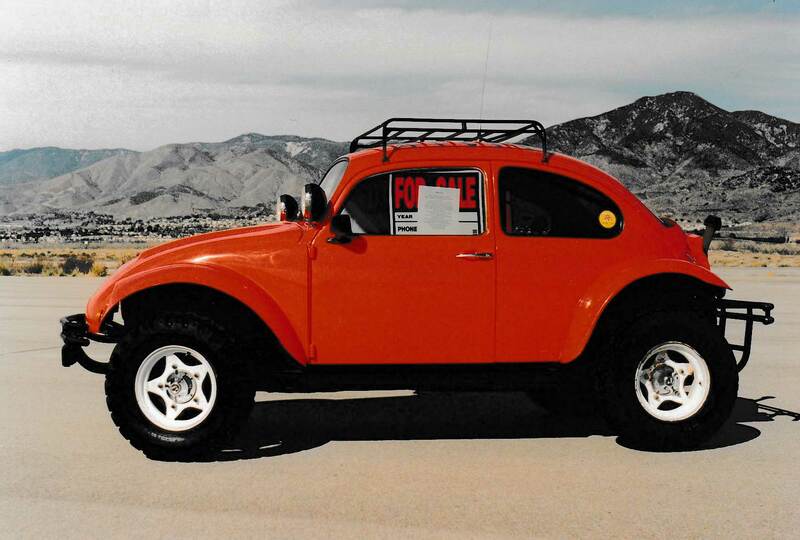 My mother had bought a 1966 VW Bug in 1968 that was a dealer demonstrator car at Woolverton Volkswagen in Ontario, California. 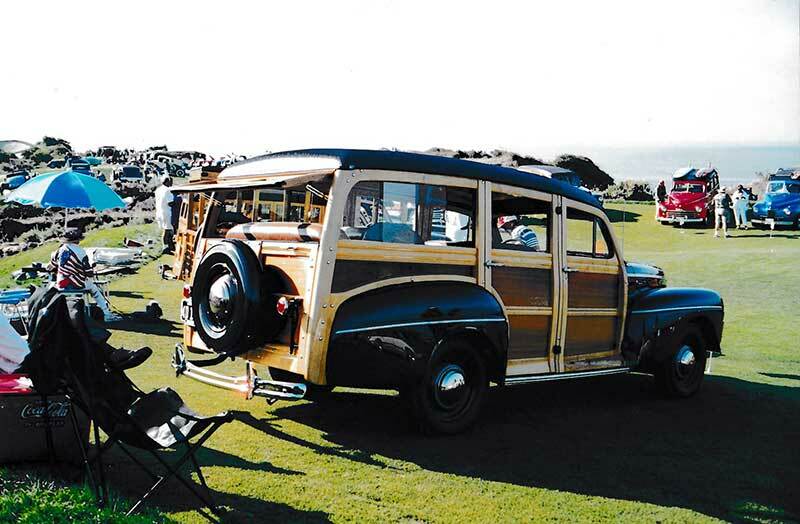 I used to ride in the back-back, that area above the transaxle behind the rear seat back right under the rear window. We used to put my Honda 50 Mini-trail in the back seat of that car. Later, my parents were at work one day when the starter went out in it and I couldn’t go out for my driving lesson. So, with the help of my Grandfather, we got it up on some ramps, and I proceeded to remove the starter with the guidance of John Muir and his VW “Idiot” manual. After about two hours of disassembly, cleaning and re-assembly and re-installation, the engine started up via the newly “rebuilt” starter. My Grandfather was so excited, that he took me out for two hours driving all over the area to visit his friends. He said it was all for my benefit, but each and every place we stopped, he would bring out a bag of meats from his butcher friend, or wine from his vintner friend, or some other Italian commodity from each place he made me take him. Fast forward several years later, I bought that ’66 Bug from my mother when I moved to Big Bear, and one of my first assignments in high school auto shop was to tune up my car. I was working at the Yamaha dealer at the time and the owner sent me over to an Import auto parts store to get the parts I needed for the assignment. After getting back to class and discovering that the parts I had purchased did not match the parts on my car, and returning twice to the “import guru” proved to be a lesson in futility, I started to give up on this assignment. Noticing my frustration, my auto shop instructor suggested I go see Jerry over on the north shore next to the round school. (it’s round in shape, hence the name). So I did. Arriving at this “house,” I drove into the circle driveway, and went up to the front door and knocked. After knocking several times and what seemed like six or seven locks unlatching, the door opens with a creak reminiscent of King Tut’s tomb. On the other side stood a woman who proceeded to instruct me to go on down to the shop in the back yard. As I left, I thought to myself, “Oh boy,” “….. the shop in the back yard. I can just see it now, there’ll be half torn apart lawn mowers all over the place, greasy VW engines strewn all over the floor, probably get bit by a three legged, one eyed dog. What kind of place did Mr. Cardinal send me to? When I opened the door and saw a seven-foot tall metal shelf with transaxle gears neatly stacked on it, I began to think that maybe, just maybe, I’m in the right place. I yelled “hello” over the noise of the air compressor, and a voice from behind a large metal cabinet yelled back, “come on in.” We introduced each other and I proceeded to explain that I needed ignition parts for my VW and the “import” shop downtown gave me something completely different. This gentleman said in a quick and confident voice, “Oh, you have a Volkswagen distributor.” I responded by saying, “Yes, it’s a Volkswagen bug. Of course it has a VW distributor.” He then spurted out a little laugh and said, “No, you have a distributor made by VW instead of Bosch. For one year only in 1966, VW made their own distributors, and you have one on your car”. I said, “Oh, so do you have the parts for it?” He said, “Yep, sure do.” This event was the beginning of what was to be a new career path for me, only I didn’t know it at the time. It was the beginning of a great friendship and years of learning and mentoring that I was also unaware of at the time. This experience led me to opening my own shop in the garage at home, and that led to supplying rebuilt engines for the store (I supplied 56 engines to them in one year). I later started to work on Porsches and some Mercedes-Benz models as well. That little shop at home provided a fantastic arena for learning and gaining experience, and it allowed me to hone skills learned long ago, and acquire some new ones as well. It also allowed me to get into Road Racing with SCCA and Cal Club in the Formula V class. This was about as much fun one can have fully clothed. Road Racing was a great learning experience for me both personally and professionally. I was very fortunate to meet a lot of well known and very influential people during those days, and was able to work with them and learn from them as well. I also learned that I was a pretty good paint and body guy and with the right guidance from the local paint store staff, my work quickly moved into a professional level. I quickly became busier than I could have ever imagined (this is where the Coca-Cola machine and “industrial” restoration service began). These experiences have allowed me to produce several noteworthy vehicles: “Terminal Velocity,” a mid-engine sand rail a friend of mine and I built on a bet with some other friends that made it into the August 1997 edition of VW Trends magazine; my dad’s 1946 Ford Woody that won second place at the Palos Verdes Concourse d’ Elegance car show in 2001 (keep in mind that this show is by invitation only; you have to have a worthy enough car to even be invited); as well as the other countless cars and “industrial” items that were just as worthy for such recognition but weren’t intended to be professionally judged. You know the old saying, “you get what you pay for,” and that’s generally true. I have put quality ahead of quantity every time. If one doesn’t understand the value of excellent workmanship and just looks at the cost of it, then he needs to find another shop to work on his aircraft … we’re not it.